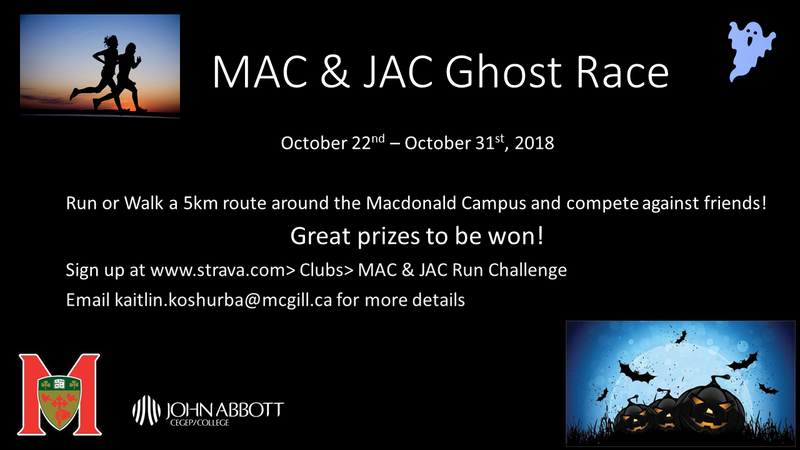 Join us for a Ghost Race on Mac Campus! The race is open from October 22nd until October 31st! Join Strava to be part of this event taking place on MAC campus. There are prizes to be won! Email kaitlin.koshurba@mcgill.ca for details.